Thread: Noob wanting to up my (pod) game - machine recommendations? 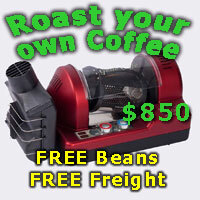 So, I've been thinking about spending from around $800 up to about $1500 for a coffee machine. I love my coffee but only have a pod machine (I know, I know). I LOVE getting a well made cup of coffee either from my in-laws fancy built in machine or a barista. Question is, I've been looking at CHOICE .com .au and they're suggesting the Breville Barista Express BES870 is the best semi-auto or DeLonghi Magnifica S as the best Auto. I've read enough here to know that auto's usually get peoples noses turned up at them here, but I also love the ease of the 'one button touch' type thing. But I'm also not afraid of learning how to make a good cup, how long would a manual/semi-auto take to make per cup and how hard is it to learn? I guess the main thing I'm after is, if my parents come over and I end up needing to make 4 or 5 cups of coffee, I just don't want everyone to be waiting 20 minutes... Open to suggestions? Hey there Noob and welcome. I won’t go into too much detail, but I think it will help to really nail down your priorities. Make a pros and cons list as this will definitely help you make a choice. Also if you can I’d highly recommend checking out a few options in person, in store. 1. A lower end European machine and grinder from a specialty retailer. Visiting a site sponsor like Jetblack Espresso or Casa Espresso will help you with this as you’ll get too see your options and possibly demo one or two as well. Something from the Lelit range would fit the bill here. But remember that as easy as they are to use there is still a learning curved and it will become a hobby to a certain extent to really get the best from this sort of equipment. 2. Buy the best appliance level machine you can afford. I think you’d actually be able to get a Breville Oracle (not the ‘Touch’) for not much more than $1500 so that’s what I would be looking at. You might have to hunt around or wait for sales, but you should find one. And again see if you can demo one at your nearest appliance retailer that stocks them. They provide a completely different user experience to the Italian machines, but they are capable of making very good coffee and have close to one touch convenience. And you’re right, a super auto isn’t what you’re looking for. I've seen a few recommendations for the Breville Dual Boiler and that's currently on sale for $794 - then pick up a grinder? It packages with the Breville Smart Grinder Pro, but unsure how good that one is. Id love the Oracle, but I can only find it for around $2200 and that's out of my range unfortunately.. The Breville Barista is a good safe choice as long as you have a plan B to deal with the potential longevity issue. My first one needed major repair after 3 years and may have been caused by my failing to replace the water filter every two months. My second one has extended warranty and I do replace the water filter every two months. As to your earlier reference to the Choice tests, there is really very little difference in the scores for the recommended machines and I would look at all of them. I like the Barista because of its proven ability to make superior espresso as long as good quality freshly roasted beans are used. This is confirmed by Choice and my 4 years experience. There is a learning curve with a little bit of fine tuning with each batch of beans. It is well designed, semi-automatic, convenient and mess free with a modest foot print for kitchen bench space. It is not a hobbyist or traditional italian machine and is referred to as an appliance . I think that covers it in a balanced way. Hope you enjoy the shopping experience. Good luck on getting a double boiler for $794. If this is The Good Guys clearance they only have limited stock in WA. So a bargain at this price if you're in WA.